Biggest Irish based bookmaker and the betting site with the most daily promotions (by an absolute mile) which means tons of extra value. » Daily money back specials. » 300% free bet bonus. » No live streaming on mobile. » Slightly clumsy betting app. Risk Free 20: New customers only, limited to one per person. If you’ve previously had a Paddy Power account, you will not qualify for the offer. Place your FIRST bet on any Sportsbook market and if it loses we will refund your stake in CASH. Max refund for this offer is €20. Only deposits made using Cards or Paypal will qualify for this promotion. T&Cs apply. When they register and open a new account with Paddy Power, customers can benefit from a welcome bonus which provides a £20 risk free first bet with the bookies. Your first bet must be some kind of single (single, double, treble or accumulator) and the max refund on offer is £20 which you’ll be pleased to know is paid in CASH. Apart from that however, the Paddy Power welcome bonus is refreshingly free of restrictions, conditions or wagering requirements. > Open account with Paddy Power here! Acca Insurance – For UK and top European football, Paddy Power customers can get their money back as a free bet if a pre-match five team or greater accumulator is let down by just one leg. The free bet is capped at a maximum of £50, can only be used on football and is valid for seven days. The exact same Acca Insurance offer is also available for NFL and NBA action. T&C’s apply. ‘Money Back Specials’ – The centre piece of Paddy Power’s promotions are their ongoing ‘Money Back Specials’ which refund losing bets as free bets on a variety of different events in a whole host of different circumstances. The exact nature of the specials change regularly along with which are the biggest ongoing sporting events at any time and are always numerous. T&C’s apply. Horse Racing Guaranteed Prices – Paddy Power provide guaranteed prices for all UK and Ireland horse races, meaning that you will always get the starting price if it is longer than the price at which you placed your bet. T&C’s apply. To see the latest offer at Paddy Power visit their website and select ‘Money Back Specials’. In-Play Betting – Paddy Power provide in-play markets on a huge array of different events, across a variety of sports taking place all around the globe. These are all available via the dedicated in-play section of their site, which is really attractive and user-friendly. Horse Racing Form and Commentary – There are also dedicated horse racing form and commentary sections available through the Paddy Power site. The form centre provides really in-depth and useful information for all of a day’s racing and the commentary section offers both text and audio commentary options. Cash Out – Newly arrived at Paddy Power, their cash out feature allows customers to take their money and run at any stage of a bet on a selection of different events. Those events with cash out available are indicated on the site by a special ‘Cash Out Logo’. Live Streaming – One of Paddy Power’s best features is their really comprehensive and impressive live streaming of both sporting events and horse races. A number of different sporting events are available daily and are free to watch for any customer who is logged in. All UK and Irish horse races are also available via a separate service and can be watched by any customer who has placed at least a £1 bet on the race in question. The sports betting service provided by Paddy Power is not restricted to only laptop or desktop PC users, as the company also offer an easily accessible and impressive mobile app. There are downloadable versions of the app available for both Android and iOS operating system devices, and a mobile web app accessible through any device’s web browser. The downloadable and web apps are essentially identical too, so the method of access which any customer chooses really is a matter of personal preference. The Paddy Power app itself is an attractive one, being presented in the company’s recognisable green and yellow colour scheme, but is also user friendly and easy to navigate and boasts a number of great features. The in-play interface on the mobile app for instance, is particularly intuitive and impressive. One slightly disappointing aspect of the mobile betting service provided by Paddy Power however, is that their excellent live streaming is not yet available via mobile devices. 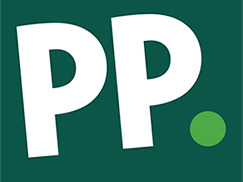 As of 2011, Paddy Power was the largest bookmaker in Europe by total share value and was recorded as having a turnover in excess of €650 million in 2012. The company are then, by most measures, one of the most popular and well established bookmakers around and are very popular with the vast majority of their customers. The firm do also have a more questionable reputation in some areas however. They are for instance, a company who has got in hot water on a number of occasions for offering controversial markets on events and occurrences that many have viewed to be offensive. Most notable amongst these in recent years have been a market on whether Barack Obama would be assassinated and a market on the outcome of the murder trial of Oscar Pistorius. What’s more, Paddy Power also have something of a reputation for not paying out on long odds winners. They did not for example, honour the 3000/1 odds which they originally offered on Shane Lowry to win the 2011 Irish Open and reached agreement with the customers involved instead, when the player did emerge victorious. As a top sports betting provider, Paddy Power have to take the security and safety of their customers very seriously and fortunately they do not disappoint in this regard. Financial and personal data stored by or transmitted to Paddy Power is protected by top level 128 bit SSL encryption and the company’s SSL certification is provided by industry leader’s Thawte. Furthermore, any sensitive data that is involved is stored on a secure server and is protected by a network firewall for a further layer of security. The company also offer lots of mechanisms by which customers can protect themselves from irresponsible gambling habits and from the financial problems these can cause. Those mechanisms include the ability to set deposit, stake, loss and channel (areas of the site) limits on an account, and the more drastic measure of ‘taking a break’ from Paddy Power. That ‘take a break’ service essentially means shutting down access to a customer’s account and can be chosen to last for anything from one day to a lifetime. If you do encounter any issue when betting with Paddy Power, there is a comprehensive online help centre available through their website. The help centre features a huge range of different FAQs and help topics, but does also provide details of how the company’s customer support staff can also be reached. That customer support is available via a live chat option (which is another big positive for our overall Paddy Power review score) on their website, a 24/7 telephone helpline and an imbedded email submission form which displays the average response time before you submit your query and is typically around two hours. Paddy Power are the largest bookmaker in Europe by total share value and a company doesn’t get to be so large and so successful without providing customers with a good experience. It should come as no surprise then, that the service offered by Paddy Power is indeed amongst the best around. Their website is well put together, attractive and user-friendly, and includes an array of great features such as an in-play section, cash out capability and an intuitive bet slip, which are all big pluses for customers. Extra features such as excellent live streaming for sport and horse racing and a really comprehensive horse racing form centre too, push the site over the top when compared with most of their biggest competitors. Paddy Power’s promotions and specials are another positive point for their customers thanks to their variety and generosity, and the user-friendly and easily navigable mobile app ensures that the great service offered is available to the widest range of customers it can be. We have rated Paddy Power so highly because there are actually very few places where the company falls down, but there are a couple of slight improvements which they could make. Arguably foremost amongst them is the fact that Paddy Power’s outstanding live streaming service is currently not yet available through their mobile app, so cannot be accessed on the move. Besides this, perhaps the online thing that would improve Paddy Power as a bookmaker would be an improvement of their reputation when it comes to honouring the biggest pay-outs. > Get your £20 RISK FREE bet at Paddy Power! If you want to ask any questions about this Paddy Power review or you don’t agree with any of the points we make then please get in touch using the form on our about page.